Alright it's the first Glossybox of 2016 and I am super excited. As I said in my Birchbox post, the first box of the year sets the bar for the remaining 11 boxes so let's hope it's a good one. 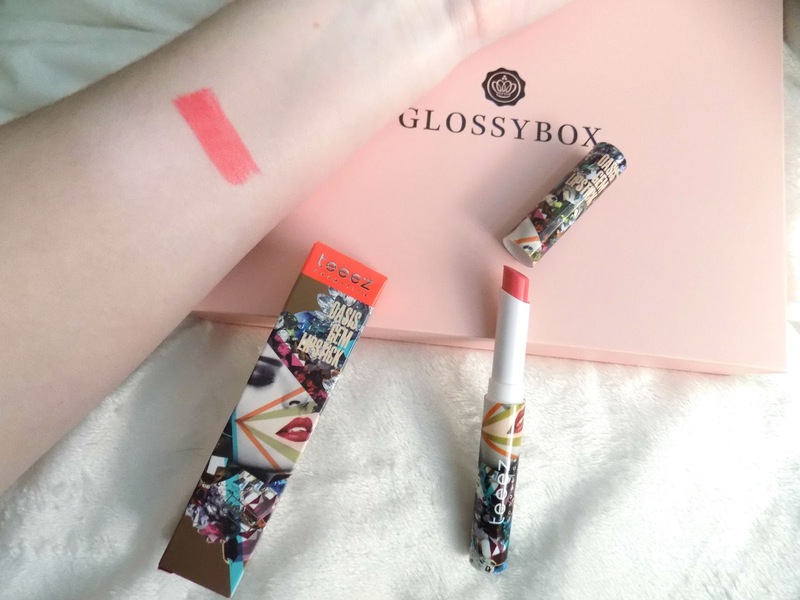 This months theme is The Year of More, Glossybox don't want to think of the new years resolutions and things we shouldn't, but have declared that 2016 is the year of more. This box has 4 full size products and one luxury size sample so it's a great deal and there's some great products for the first 2016 box. Alright let's start with the skincare products and first is this face mask, which is a complexion rescuer where it hydrates, draws out impurities and it's herbal based and very good for sensitive skin. It's only £11.36 which is great for a full size face mask. It's a clear gel which smells pretty herbally but I will let you know my thoughts once I've tried it. 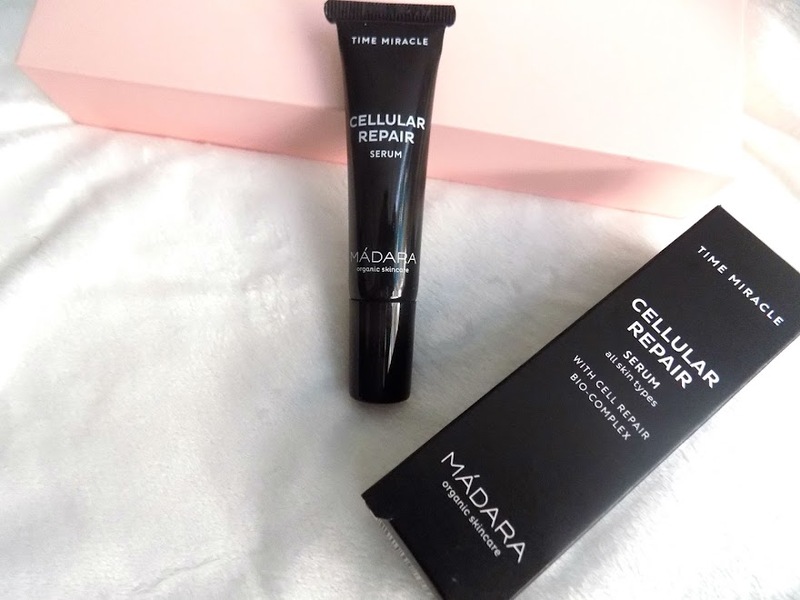 This is the only product which isn't full size and when you see the price of it you can see why, but this is a serum which says is suitable for all skin types and is for cell repairing whilst boosting hydration and radiance. It's £38 so it's a high end skincare product and weirdly, it's green, very light weight but the scent puts me off, it;s just eurgh, not my cup of tea at all and I just cannot stomach it at all, putting it on my face, nope afraid not. So this is a no go but I'm sure many others could get passed the scent. On to makeup now and this is a lipstick in a pretty coral/pink shade called Coral Onyx and although it isn't my kind of shade, it feels very creamy with a satin kind of finish, says it's 8 hour wear but with the coconut oil it's super hydrating and nourishing. 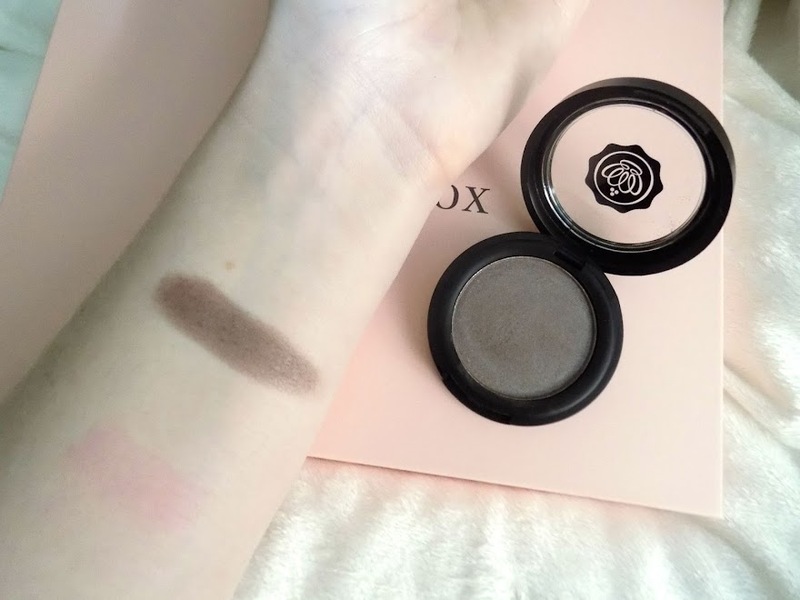 My favourite thing in the box is this eyeshadow. How beautiful is this shade, it's called Glossy Mauve, it's pigmented, soft and not too powdery, and it's really just stunning. Can't wait to do a look with this so let me know if you would like that. I will definitely be giving this one a try tomorrow. I'm kind of over getting nail polish in my subscription boxes because unfortunately some of them I just don't use or try because either the colour isn't my kind of thing or I have better polishes the same colour. But this looks like a classic red so I may give it a try and see what this formula is like as I've never tried the brand before. My favourite product is definitely the eyeshadow but I will give the mask and nail polish a shot too. The lipstick and serum won't be something I will use so will find those a new home with someone who will use and love them. 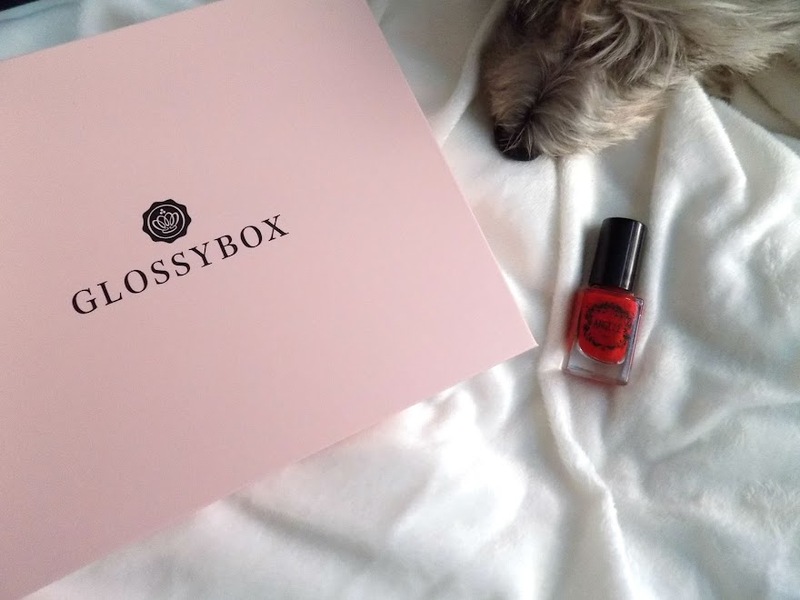 If you want to treat yourself to a subscription box then Glossybox is a monthly subscription and you can choose whether you have a 3, 6 or 12 month subscription. It's also a great gift. 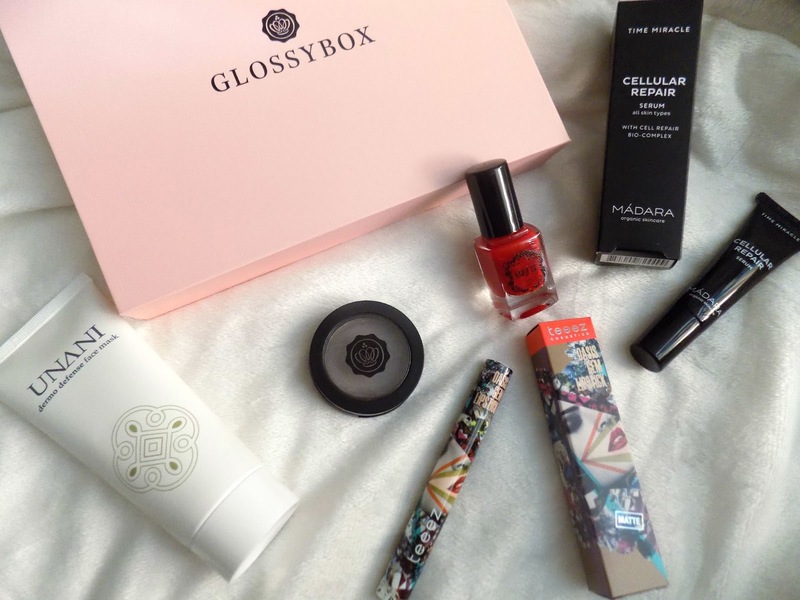 What's your favourite product from this months Glossybox? Disclaimer: I am not being sponsored to upload this post. I just like to share what's in my subscription and Glossybox don't know I am writing this post.